Černý zaplétaný kožený náramek | Fort Tempus | Skladem! Hledáte jednoduchý módní doplněk, který Vám dodá trochu šmrnc? Pak tento univerzální kožený náramek, bude tím pravým pro Vás. Dva překrývající se proužky z černé kůže, jeden jednoduchý a druhý zaplétaný, budou vypadat skvěle na každém zápěstí. Jednoduché zapínání z nerezové oceli se jednoduše zaklapne a náramek bude sedět na místě. Stylový módní doplněk je vyroben tak, aby skvěle seděl na každém zápěstí. Je lehký, takže se Vám bude příjemně nosit každý den. Dodáváme v krásném dárkovém váčku. Podívejte se, jak vám tento náramek padne. Běžná velikost pánského zápěstí je 18 cm. Použijte běžný metr nebo proužek papíru těsně pod kostí na zápěstí, kde normálně nosíte náramek. Naprostá spokojenost jak s kvalitou, tak s obchodem celkově. Super kvalita jak v materiálu, tak v zapínání. Vzhledově bez chybičky, přesně jako na obrázku. Doporučuji. Výměna špatně zvolené velikosti proběhla bez problémů. S tímto náramkem budete IN :) Kvalitní práce. Mohu jen doporučit, je super. Super, fakt. Překvapila mne kvalita zboží. Náramek jsem koupila jako dárek pro syna - motorkáře podle jeho vlastního výběru. Vypadá opravdu dobře, provedení je kvalitní a má v sobě nápad, design, prostě česky šmrnc. Výborný dárek, naprostá spokojenost. Eva P.
Pozitivní. Pěkný vypadá tak jak obrázku a rychlé dodaní. Náramek se mi moc líbí. Ve skutečnosti vypadá ještě lépe než na obrázku. Picture on the website and reality sued. Met my expectation, fast and delivery. Beautifully crafted bracelet. The clasp is good for trading. Was a gift and arrived very well. The product is very nice. Hope the shutter does not fog over time. That still has to show. I am very satisfied with the bracelet. I thought it was a bit big, I chose a Medium and is a really great gentleman. Perhaps it has to do with winding it one turn around the trail first. The band itself was slightly more "shiny" in reality, a bit of a plastic shade, more the twisted band than the smooth. After about a day's use, one band loosened into the bracket, thus there the metallic sleeve where the band is locked. No big project to paste a little glue and attach it again. All in all. Affordable. Bracelet of good quality, corresponding to expectations. Size a little big according to me (thin wrists). Quick response of the site when sending an email, I recommend! The product was good. Suitable for my scarring son and lock keeps well. That I found with you on the site I am very satisfied and he is very happy with it feels completely trendy again !!! Would be given to a confirmed He thinks it was pretty cool. Easy to close. It smells a bit of leather. Leave it unpackaged for a few days. It arrived without problems. Good quality of the bracelet and very beautiful. Very happy with the purchase. Everyone who sees it likes it. I just got what I wanted. The size selection system was expensive. I was afraid that the picture would not correspond to reality, but fortunately I was frightened! Product of good quality and very good service by the company. Very happy with the purchase. The leather bracelet has been very well made, it looks great on the hands. I would recommend. I liked the bracelet already and the gifted gentleman likes it very much;) With the closure he was clear from the start. Perfectly matched. Really attractive. Fast delivery. The bracelet is extremely high quality and looks just as good (and even more) than the picture. The man for whom he was a gift also liked it very much. Unfortunately, in my case it was too big and I returned it to replace it with another one but in a smaller size. I can not wait to arrive. Very good quality, nice design and arrived immediately! The material is great and the bracelet an eye-catcher. It can be worn comfortably. Unfortunately, the clasp always slides to the bottom of the wrist and opens when the arm on the table oä. is filed. An excellent product, high wearing comfort, easy on and off. A very nice product. I would say I would buy. I got the package on time and I'm totally crazy about the product! It's amazing and in good quality! Unfortunately, I ordered a large size, so I had to send you this beautiful bracelet. Waiting with longing for a smaller size replacement and now I'm coming back to save the world. Unfortunately, I did not help me because I ordered a large size. I am waiting for a smaller size replacement. However, when it comes to execution and appearance to me, bombastic. Greetings . The bracelet is beautiful and fits very well! I can not fault the bracelet. Super good follow-up and service. Super good service! PostNord did not deliver and Trendhim followed up by mails and finally sent a new package. Of course, I will send the first return if and if I receive it. The lock is so strong that it can be easier to get rid of help. But that is very good. Then one knows that it is safe. Very nice, beautifully made, smells skin beautifully. Bestowal satisfied. Delivery time with the courier delivery option 6 days. Please take this into account if we want time. Nice, sitting well (wrist 17 cm) As someone else pointed out, it smells bad! A cheeky smell that makes me unable to use it yet! Is there anything you can do? Will it disappear over time? Yes pretty good quality and the box super! A very aesthetically made bracelet. The clasp is actually very comfortable and hassle free. I did not notice this before buying but it is wrapped around the wrist three times, which may look like it was 2 to 3 cm wide. Smart lock, nice bracelet. Sick happy Smells strong, but does not doubt it will disappear soon. Very nice and nice bracelet. The product I like is exactly the same as the picture. The recipient of the gift was very satisfied. The wristband might be a bit too long. Aesthetically very beautiful bracelet with visible quality. Overall, I was very pleased. I just wish they had more sizes because I had to have the bracelet cut so that it would serve my boyfriend. Unfortunately the bracelet was too big for me as a woman. Everything ok, a bracelet bought for a boyfriend liked him very much and it is the most important to me;) The shipment lasted a little, but I was informed before making the order, I also have no objections! 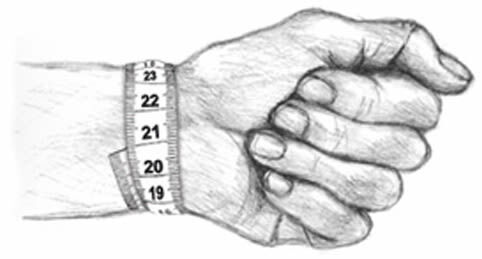 The bracelet was neat, customers should be careful to measure the arm. Do not know if it goes out after a while, usually shaping after wearing it. It looks good quality, I hope it will be durable. I really liked the recipient. Quality and really beautiful bracelet. Nice product arrived in beautiful packaging for any gift .. arrived at the agreed time .. Very nice site to view. The bracelet is chic. The closure is a bit tricky when closing with one hand. But looks good and my friend was happy about it. It's very good! Good closing, current design .... Very happy! Great quality, worth 100%, I would advise anyone looking for a leather bracelet to buy it here. Beautiful bracelet! And the whole ordering process is just a few clicks. Excellent service! Be a little tight - Could wish you had them 24-25cm. I do not think there are quite a few men they fit in 20cm. The product lived up to the expectations I had except that 22cm. was just tight enough but nice service. Fine quality and perfect in size. Wear rather tight so do not take too big. Real leather that smells of leather and solid closure. Owl stuff. Really happy !!! Satisfied: the website good presentation and easy to use, products offered (choice, different style and all prices), free shipping, the quality of the bracelet that I received and resemblance to the photo, but Especially amazed in a good way, excellent after sales service !!! Yes because the bracelet was a gift for my brother but the style I chose did not like him .., so I dealt with the after-sales service, back product. I really recommend Trendhim! Is shorter than promised. Otherwise, it meets the expectations. Exactly what I was looking for. Wear it 24 hours a day. Chic, super quality, comfortable to wear! Right thick with several bands in one that I like but also the girl likes it so it was a very good buy. Big sortiment. Comprehensive website filled with attractive products. Good prices and fast, hassle free delivery. Fast delivery. Good info on the website. A very nice band, real leather and good closure, I can only recommend. Bought for my friend. A happy fit and he is super nice! I am very impressed with the quality of the product, as well as the fast processing and delivery time when buying things at Trendhim. Can recommend others to buy items through this page. I bought this bracelet as a birthday present and the recipient has been very happy with his gift. I am very impressed with the quality of the product as well as the fast processing and delivery time when buying things at Trendhim. Can recommend others to buy items through this page. I bought this bracelet as a birthday present and the recipient has been very happy with his gift. Product corresponding to my expectations. The product was exactly what was described. The product image was consistent with the product. The recipient of the gift liked the bracelet and the bag was appropriate. The product came in a few days until the mailbox. Bracelet of good quality, consistent with my expectations. Good quality of the product. Very serious site and team that sends original mails that changes other sites. Beautiful object, neat finish and quality raw materials. The tracking of the order is also processed with due diligence and fast delivery. Easy to order, and a perfect delivery. Delivery was delivered within the specified time and without any damage. Top Class! High quality, no surprises, everything was like the product description. The company feels serious and responsible. The products maintain high quality. Delivery fast and good. Only positive impression. Very stylish men's bracelet, fragrant with leather. A very nice bracelet for a great price. Fits to every wrist! Aimed at a 24 year old and that corresponds to what he wants today. Conform to the description. Current and good quality. Very interesting and elegant bracelet! I recommend with a clear conscience to elegant arrangements. Making the perfect cuff and the skin of a very good quality. Stylish neat! Fits everyday parties. Is a Christmas gift so I have not been able to try him. May be too difficult to adjust size. Beautifully made leather bracelet, solid closure that does not just pop open.